Discover the beauty of the Island with this 120 mile narrated tour. Our experienced guide will take you to the most amazing and breathtaking scenic spots. Enjoy eveything on our Circle Island Tour. In addition, this package includes an admission to the wonders of Waimea Falls Park. Head to Pearl Harbor, and visit the Arizona Memorial for an unforgetable tour. 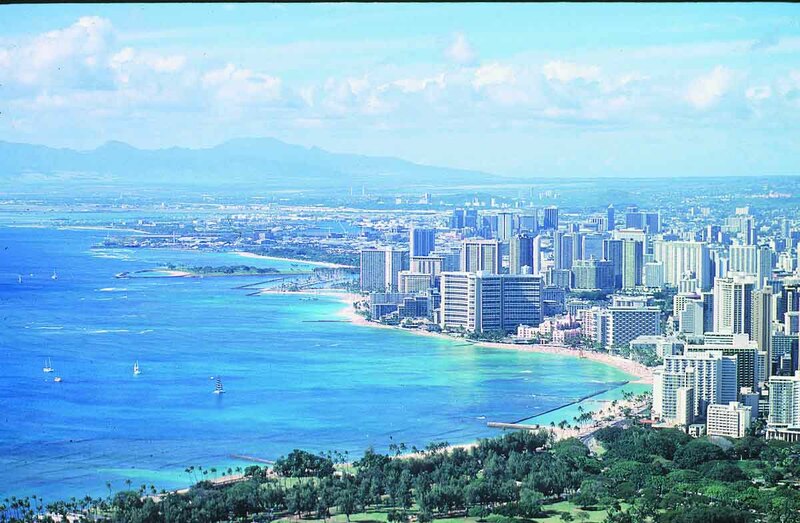 Also, visit Honolulu City and its various historical places. Board the "Mighty MO" for an historic tour. Continue your journey with a visit to Pearl Harbor and the Arizona Memorial. Experience a traditional "Luau", dinner buffet Hawaiian style, in a romantic beach setting. Entertainment includes Hula dances, fire knife dancers, and much more. We book all the Hottest shows in town! Experience Polynesia in a spectacular presentation of songs, dances, and food from the cultures of seven authentic Polynesian Villages. Enjoy the same features as above with a Hawaiian Luau style dinner buffet with preferred seating to the "Horizons" show. Cruise toward Diamond Head and anchor on the crystal clear ocean of Paradise. Visit Hawaii's newest attraction! 25 acres of rides & slides. Enjoy the panoramic sunset of world-famous Diamond Head & Honolulu City lights. Board a real submarine for a 100 ft. dive, and explore the Hawaiian marine life. Get Wet & Wild with our special Water sports package. Copyright©2000. Affordable Tours. All Rights Reserved.